I participated in an Influencer Activation Program on behalf of Influence Central for Ame & Lulu. I received product samples to facilitate my review. All opinions are my own. I feel like I am on the go more than ever before in my life. With my new job, I'm a lot happier, but my commute is still longer than I might prefer (albeit shorter than it was last year). With Corey traveling two or three days (and nights) a week, I am trying to take advantage of that time to plan at least one night of girl's time a week. And, let's not forget to mention barre classes and gym workouts five days a week. Oh...and running my store on Teachers pay Teachers. Because I'm always on the go, I have to tote a lot of items back and forth every day. Do you know what really helps with that - a ridiculously cute tote. 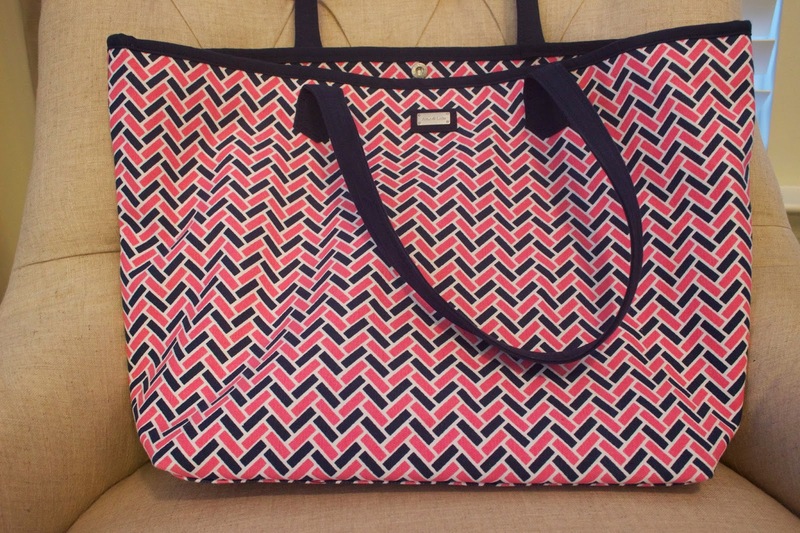 Enter Ame & Lulu's Easy Tote. Previously, I had carried an ancient sorority Vinyard Vines tote to the gym. While I do love that tote, it wasn't really large enough for me to fit everything I needed and it wasn't quite adult enough. 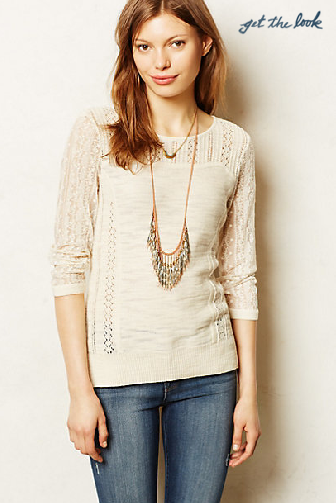 Ame & Lulu was created in 2003 by Amye Kurson with one goal in mind - to be stylish while on the go. I love the preppy, colorful patterns and think they really do just that. No frumpy workout bag for me. I work out almost every day after work. I've always really loved to workout but it became a necessity after one too many mid-meeting chocolates at my previous job. Yikes. I have a long commute to work so honestly, I'm exhausted when I get home. Even though I love working out, my couch is calling my name the minute I walk in the door. So, to end up at the gym instead of on my couch, I pack my Easy Tote the night before and head straight to the gym or to my favorite Barre studio. Even if I have to stop by my house to let Riley out, I make that a quick in and out and change clothes at the gym. Here is how my Ame & Lulu tote makes that possible. 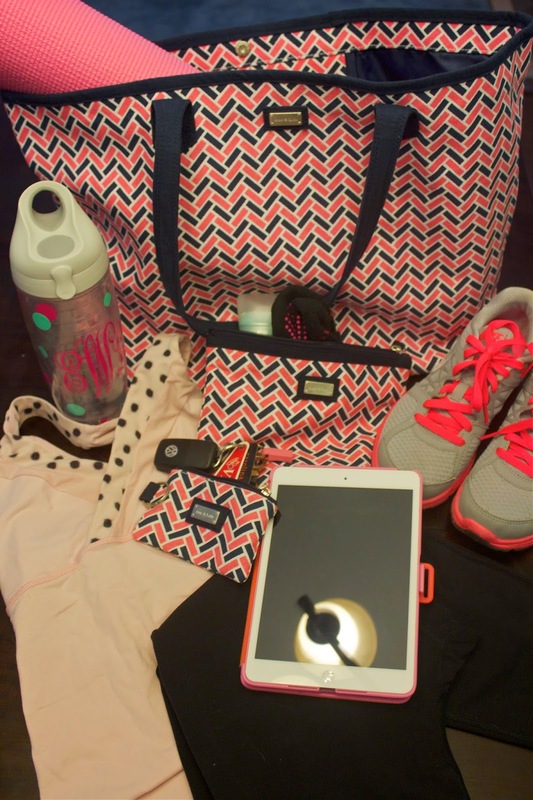 I pack it with a super cute workout outfit. Being cute while working out really motivates me. That is one reason why I love this bag so much - it is a cute accessory for the gym. Inside my bag, you will find a workout top and bottom, my sneakers, yoga mat, water bottle, and iPad (because I have just started doing Kayla Itsines Bikini Body Guide for three of my workouts a week). I was also gifted the Ame & Lulu Essentials Insert, which I just love. Inside I keep deodorant, a brush, extra barre socks, and regular socks. I also drop my keys, driver's license, and debit card into the matching Key Pouch. I love that all three pieces match. I feel so put together, even though I am often running around acting a little crazy to fit everything into a busy day. Inside the tote is also a zippered pocket, which is perfect to drop my phone inside. The Ame & Lulu Easy Tote is available in seven colors. I chose the sugar and absolutely love it, although I think all of the patterns are cute while still giving off a mature, put-together vibe. The tote is large enough to carry all of my essentials. It would also be a perfect bag for my teaching supplies. It seems easy to clean so for those of you with children - it could work as a diaper bag as well. 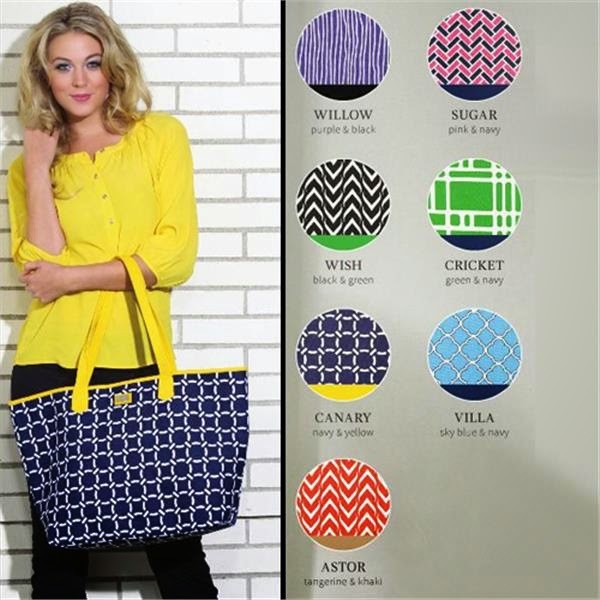 The Easy Tote is just one of so many cute, colorful accessories for the active lifestyle available at Ame & Lulu. The Yoga Mat Bag or Wine Caddy are next on my list. If you are finding yourself falling in love with Ame & Lulu like I have, you are in luck. 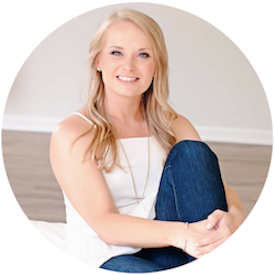 Ame & Lulu is offering all A Carolina Mrs. readers 25% off with the code love25. What pattern would you choose? I've had a love for Anthropologie for quite a while now but clothes shopping recently has taken a back seat to home decor shopping. Really, I've done quite well taming my closet since we decided to purchase and build our home last year. I, of course, immediately fell in love. 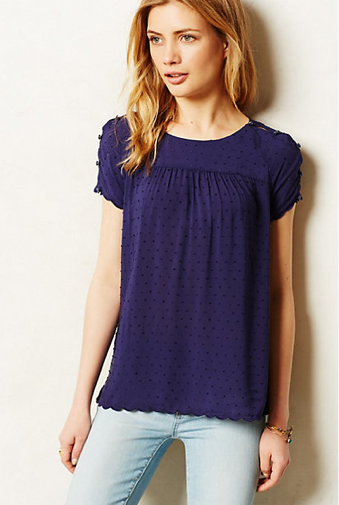 It was such an Elizabeth top. She told me she agreed and really encouraged me to head into the store to try it on as well. With her blessing, I planned to do just that. Then, as I walked through the door, an associate was just putting out the top below. Swoon. As I meandered around the store, searching for the top I came in for, my arms soon became heavy with all kinds of gorgeous things to try on. See below. 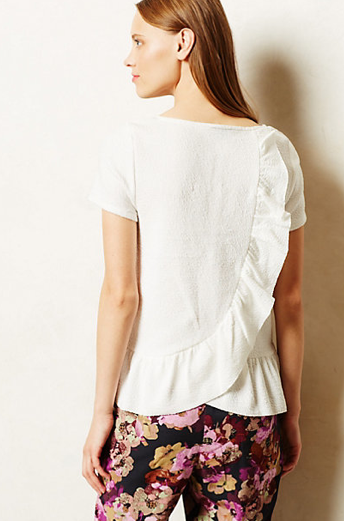 It's the back of this top that really has the wow factor. How perfect for a Friday happy hour. 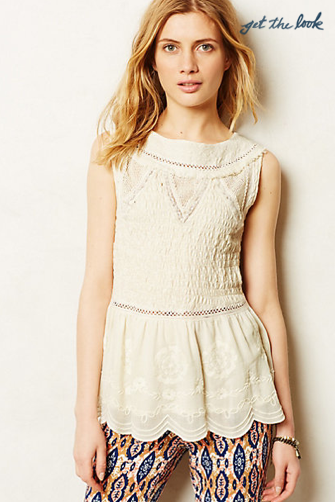 Aren't the lace sleeves just perfect? 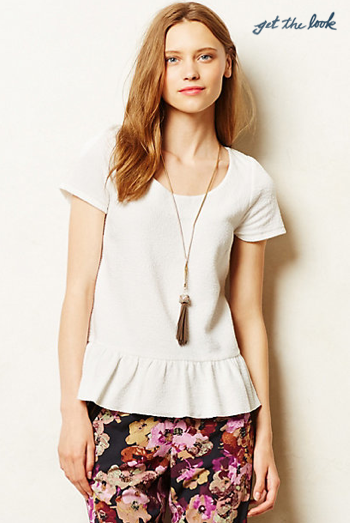 With all of the lace and peplum, Anthro is really after my heart this season. It is safe to say I am obsessed!